Promoting cultural understanding and friendship between North Vancouver, Canada and Chiba, Japan since 1970. 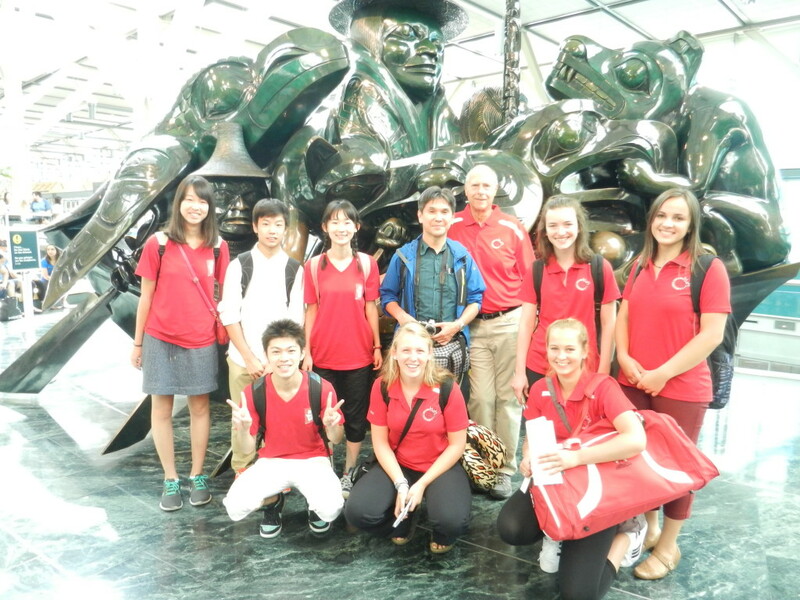 Our 2015 Students met up in front of the famous Jade Artwork at the Vancouver International Airport when they arrived and departed the country on the same day! Welcome to The North Shore Lions Youth Exchange Program! 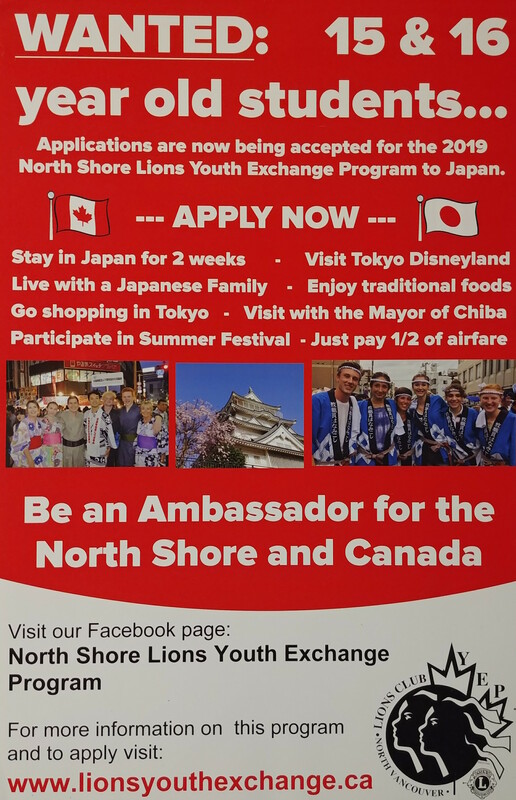 The North Shore Lions Youth Exchange Program has been in operation since 1970; Our program strives to provide an increased cultural understanding and friendship between the sister cities of North Vancouver, Canada and Chiba, Japan. We have helped more than 450 students to experience a different culture by actually living as part of the culture. Have a look at our Program Overview; if this sounds like something you are interested in and you will be aged 15 or 16 at the time of travel, attending a North or West Vancouver school, we want to hear from you! Take a look at our Application Page to find out all the details on how to apply for this exciting program. * Some conditions apply, please see the Program Overview.